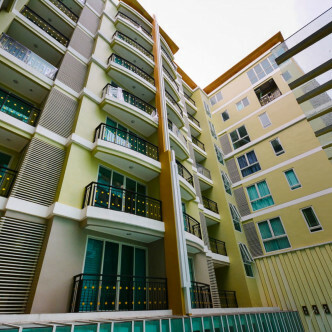 This commanding building was completed in 2013 and offers 82 units set on eight floors. 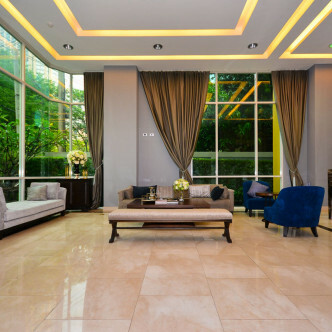 Each of the units is fully furnished and feature hard wood floors, large and very comfortable sofas and huge picture windows that bring in plenty of light as well as stirring city views. 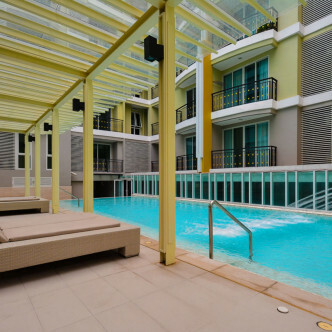 Many of the units are duplexes, offers residents plenty of homely touches combined with pure luxury. 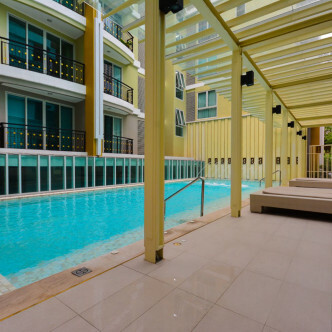 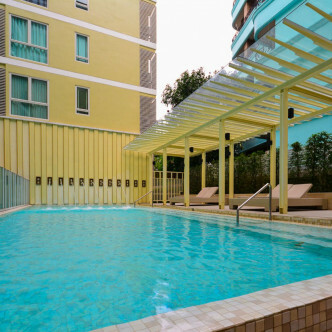 The large and luxurious swimming pool is set under a roof so that residents can enjoy it all year round. 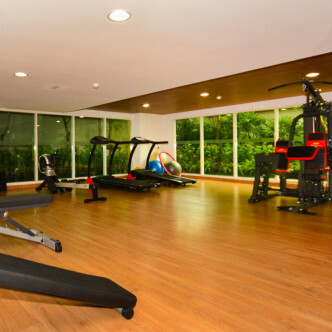 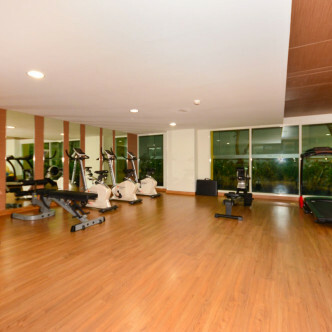 Among the other facilities that The Crest offers is a modern and fully loaded fitness centre where residents can unwind while working up a sweat after a hard day at work and a very attractive lobby. 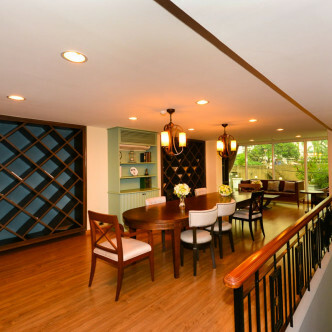 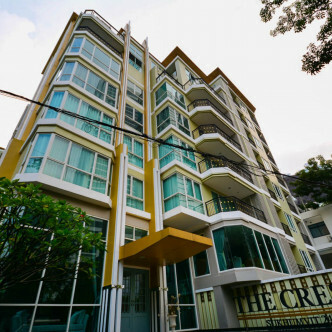 The location of The Crest is on a quiet side soi behind the large and lovely Benjasiri Park. 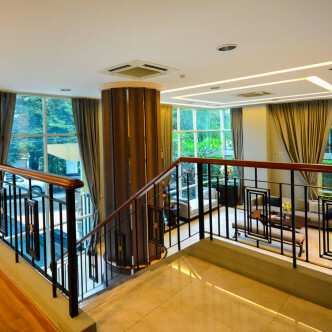 People who like to unwind by going bargain hunting will find several large shopping malls within easy walking distance of The Crest, while this neighbourhood is ideal for people who enjoy socializing in the evening.